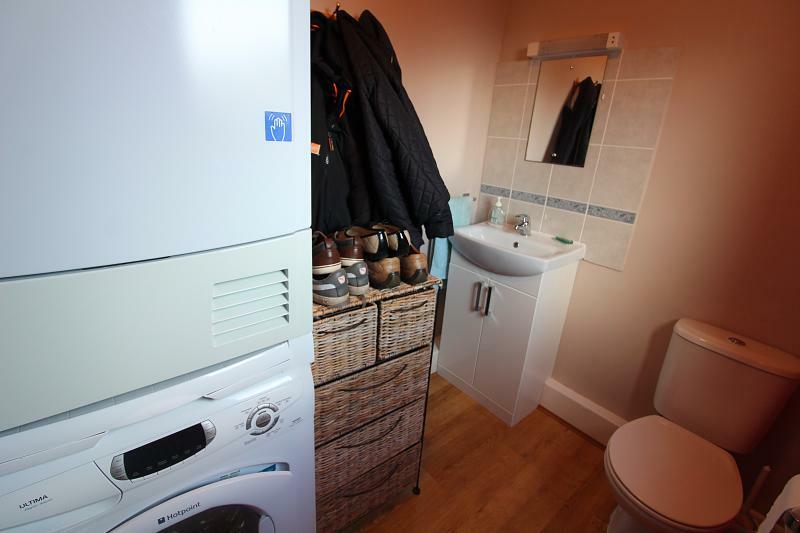 Wood laminate flooring, modern thermostatically controlled electric radiator, plumbing for washing machine, wash hand basin with mixer tap, storage cabinet beneath, fitted mirror, extractor, WC and opaque PVC double glazed window to side. 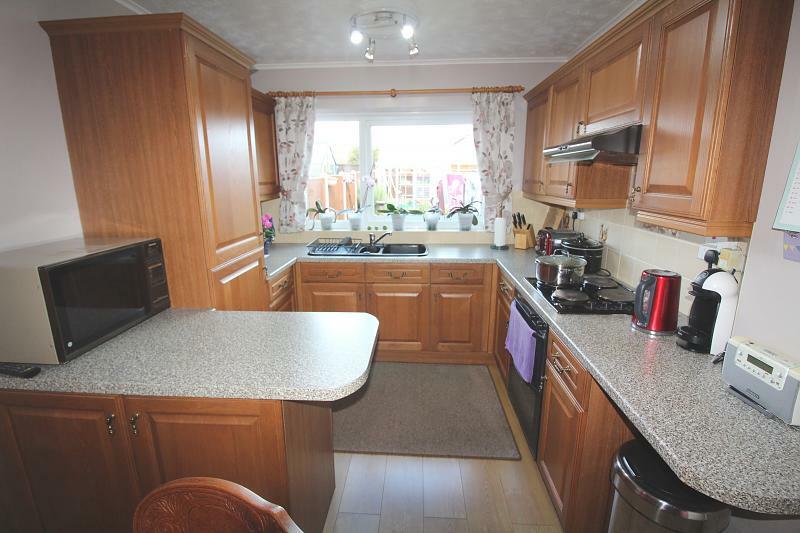 Wood laminate flooring, kitchen area has a matching range of wall and base storage units and drawers, worktop over, inset one and a half bowl sink unit with mixer tap, tiled splashbacks, PVC double glazed window giving aspect over rear garden, inset four ring electric hob, built-in electric oven and grill, built-in fridge-freezer, fitted extractor over hob, LED spotlights. 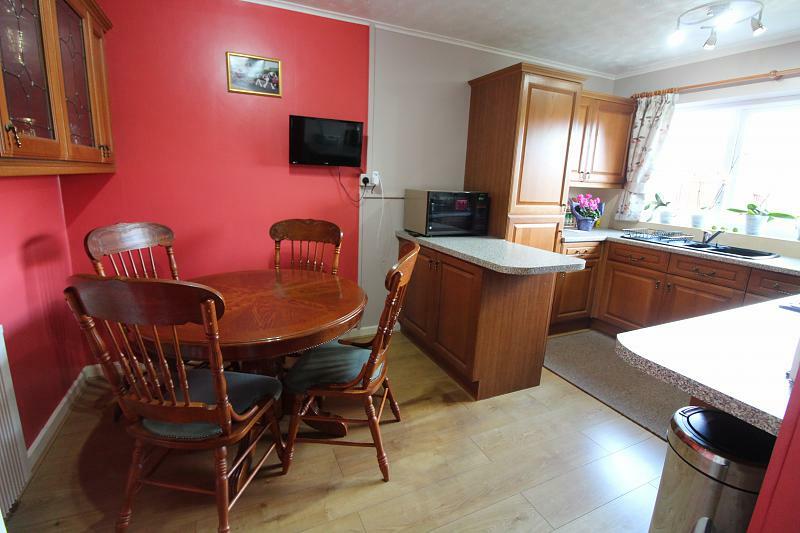 Dining area has matching wood laminate flooring, television aerial point, LED spotlights, glazed fronted display cabinets, modern thermostatically controlled electric radiator and built-in shelved storage cupboard. 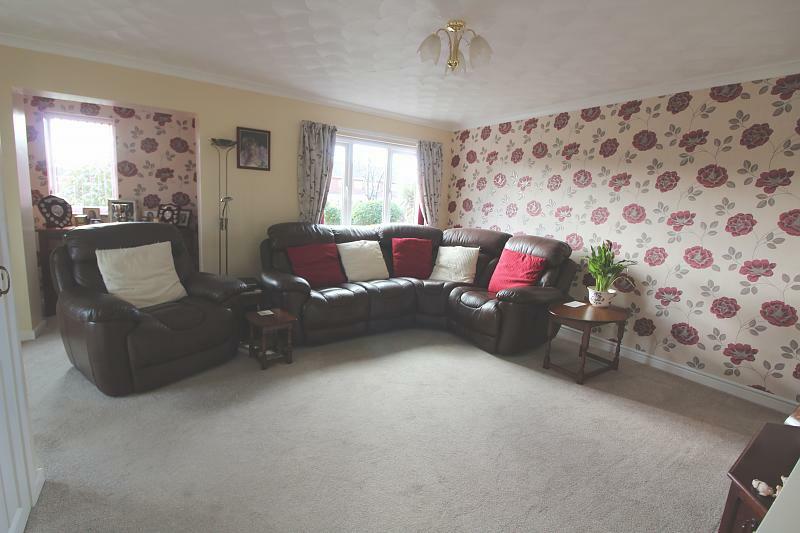 Wood laminate flooring, power points, full length double glazed windows giving aspect all round, PVC double glazed french doors giving aspect and access to garden. GRP solid insulated roof with inset halogen spotlights. 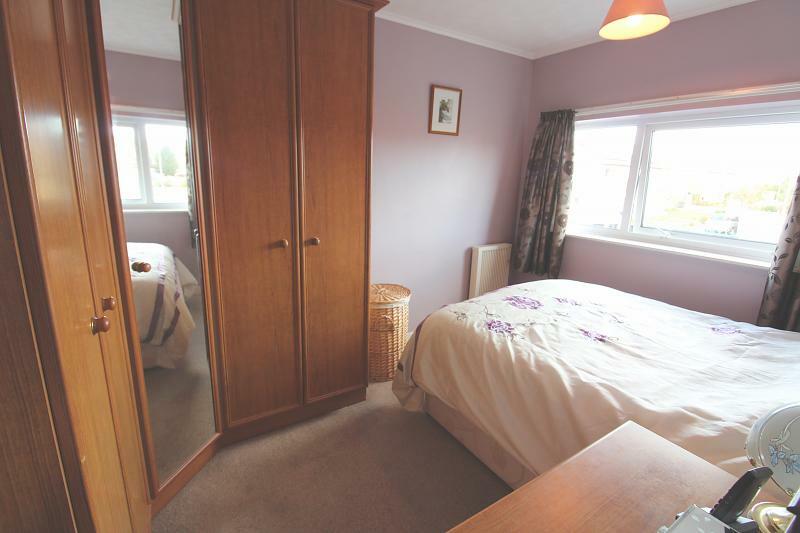 Fitted carpet, PVC double glazed window to rear, a range of built-in wardrobes one of which is full length mirror fronted, individually thermostatically controlled modern electric radiator. 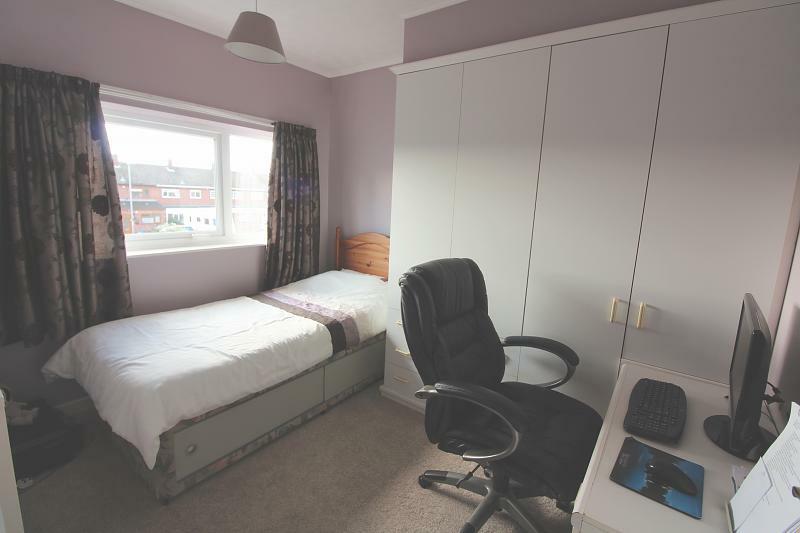 Fitted carpet, individual thermostatically controlled modern electric radiator, PVC double glazed window to front, fitted carpet and built-in wardrobes and drawers. 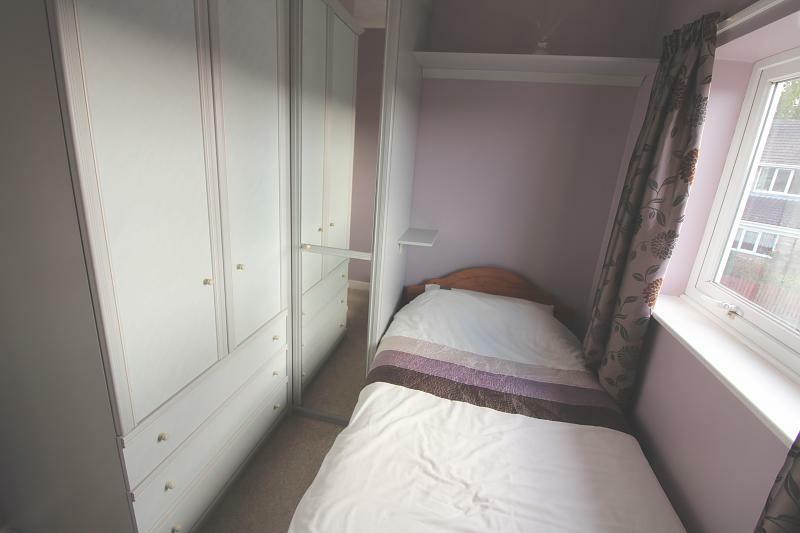 Fitted carpet, PVC double glazed window to front, modern individual thermostatically controlled electric radiator, built-in wardrobe with drawers beneath and further mirror fronted wardrobe. 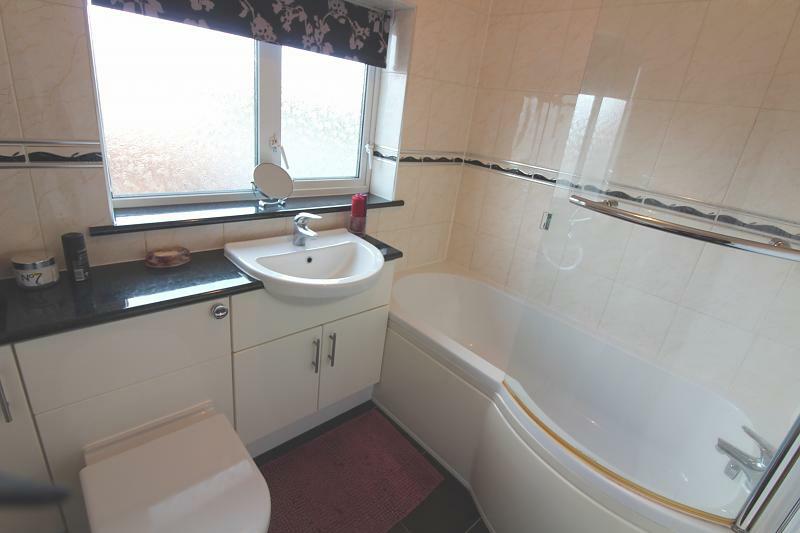 Tiled flooring, fully tiled walls, heated towel rail, low level WC, inset wash hand basin with storage cabinets beneath, P-shaped panelled bath with fitted shower screen, mains shower over bath plus chrome mixer tap, opaque PVC double glazed window to rear. 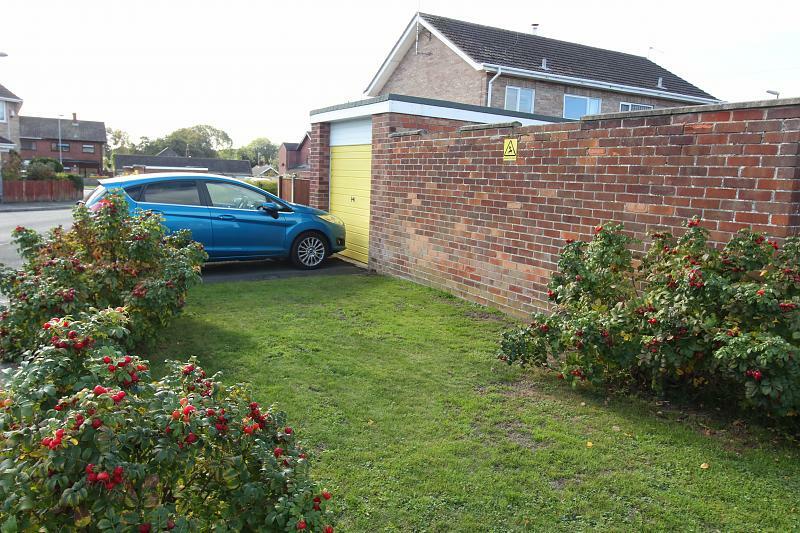 Mainly laid to lawn front garden with flower and shrub display, hedge boundary from front to right hand side of the property. 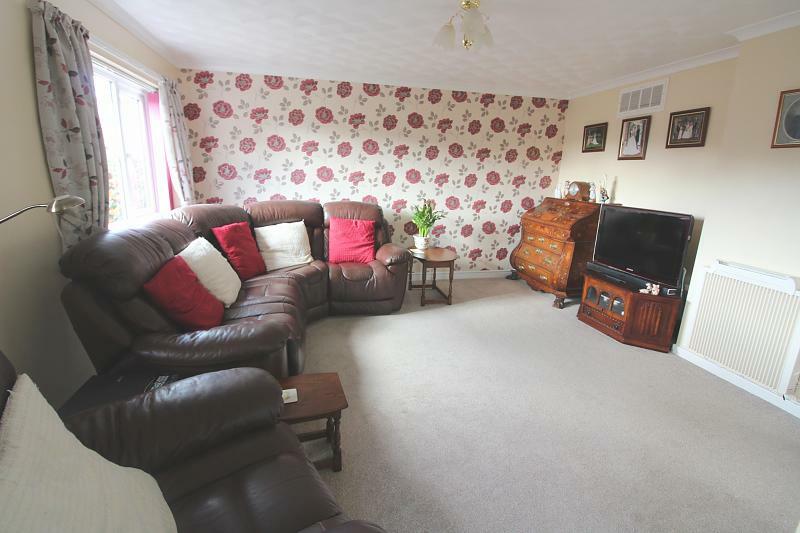 Laid to lawn side area with paved pathway to timber gate leading around to the right of the property with paved driveway leading to garage and further lawn area with shrubs offering fantastic potential for further off road parking area if required. Up and over door. Power points. 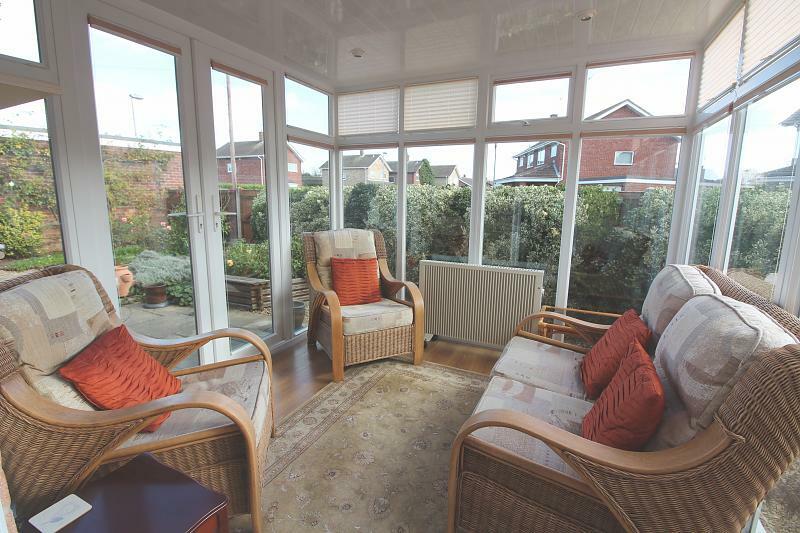 Main side garden area has paved patio seating area with various flower and shrub displays, pagoda with fitted corner seating, outside power points. 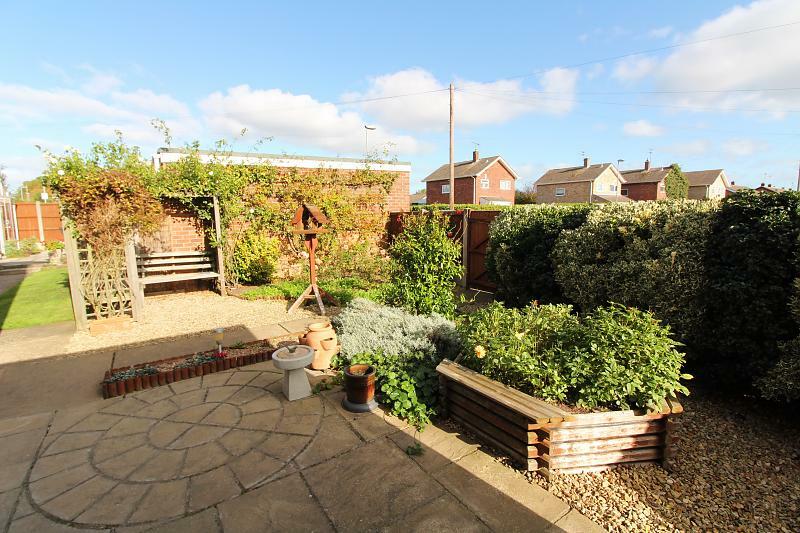 Main rear garden area is mainly laid to lawn with paved patio seating area, water tap, paved pathway, pedestrian rear access door into garage and step up to further paved patio seating area with sunken active fishpond, greenhouse (with powerpoints) and summerhouse (with powerpoints). 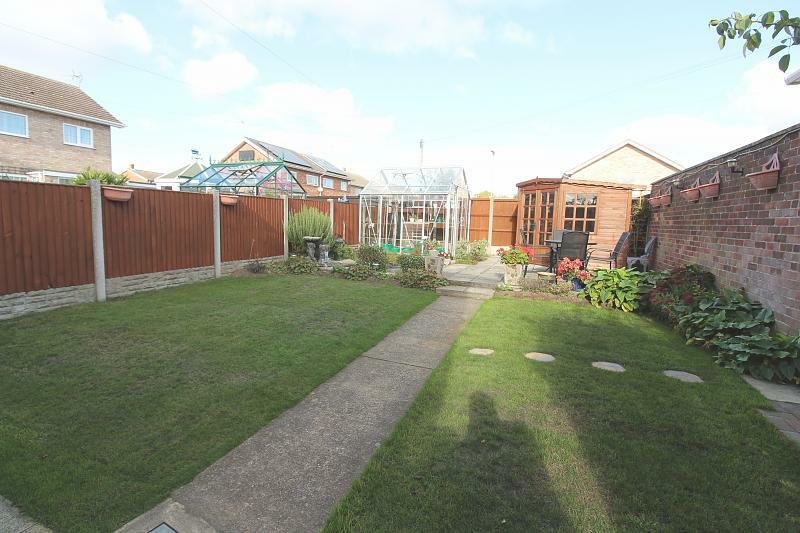 Rear garden is enclosed with timber fencing and concrete posts. Courtesy lighting. 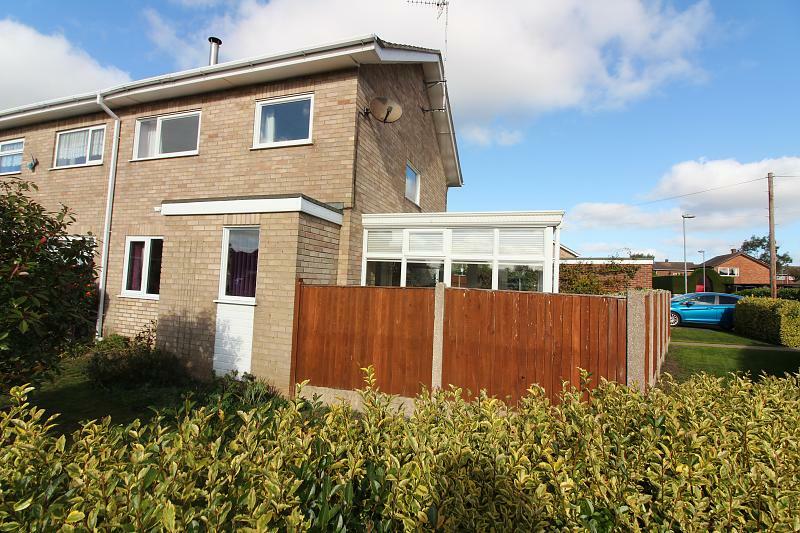 There is also planning approved for a single storey extension to the right hand side of the property running from front to rear. Planning approved 2018.